The Teal is a small duck that occasionally breeds in western Europe. It is however mostly seen in winter. 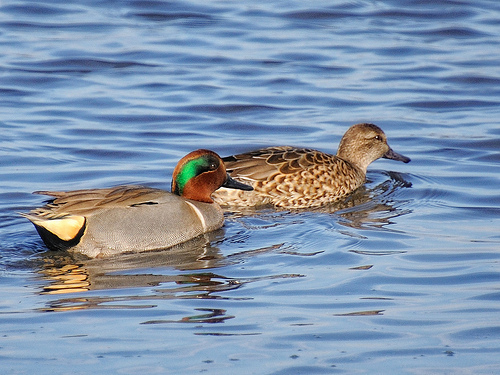 The Teal is not doing very well; its numbers are diminishing in western Europe. 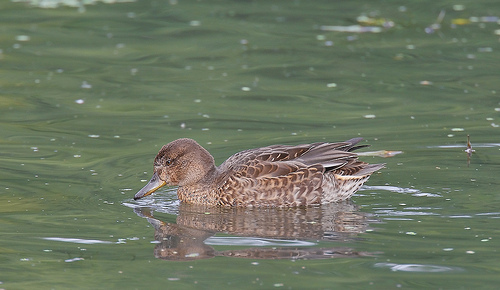 The head of the female Teal is plain brown, the Garganey has a brown head with a white eyestripe.